THREE Cosmetics has always favoured minimalistic functionality over excessive girlie frills in its product packaging, but I was still surprised by the stark black zippered pouch containing the latest Holiday 2018 palettes. Having relied on it for the past weeks though, I think the small palm-sized pouches and virtually destruction-proof packaging are absolutely brilliant for travels and on-the-go makeup. 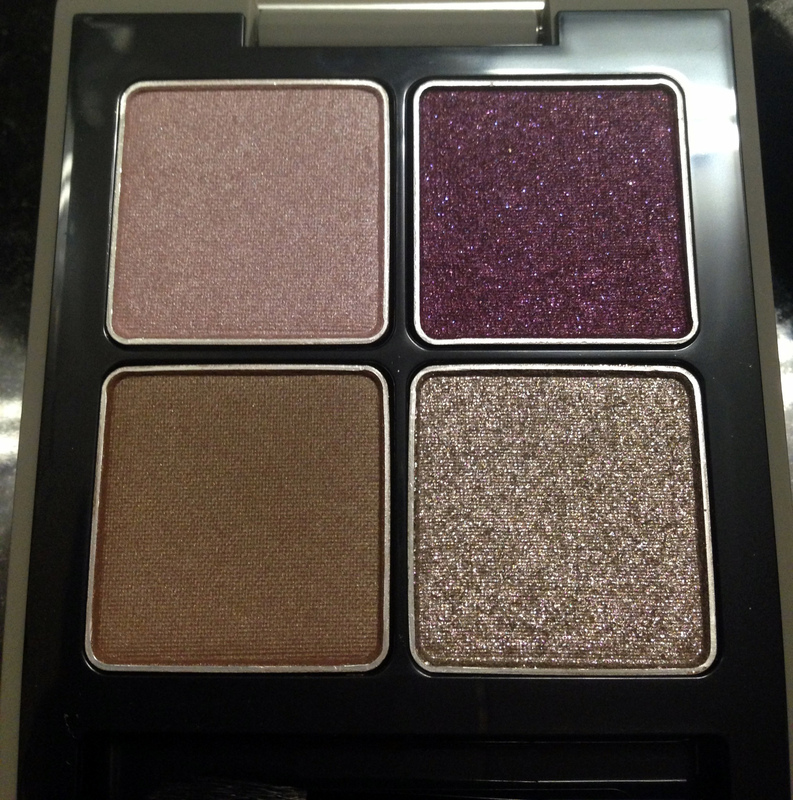 This season’s Art of Parties Collection feature 2 makeup palettes, and the one I have here is called Life of the Party. And the eye palette responsible for it – THREE 4D Eye Palette #9 Star Guitar. By the time I got to meet #9 Star Guitar, I was decidedly all purpled-out for the season. 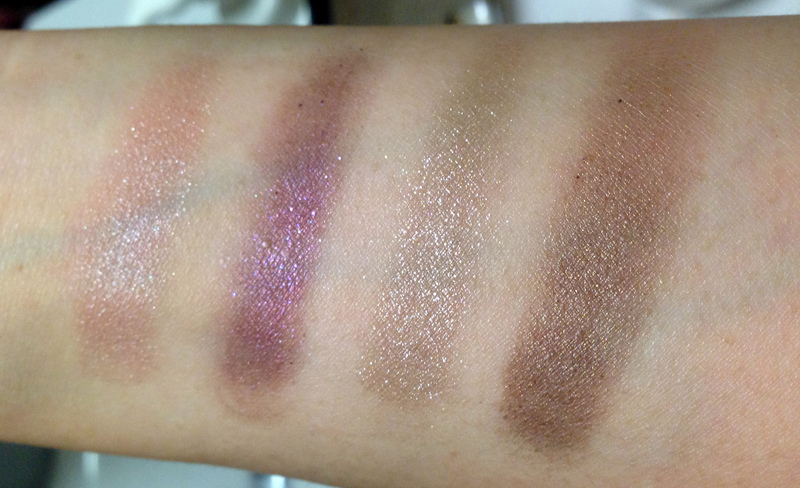 But this was no ordinary purple-themed palette, and it had me at first swatch. Light shimmery mauve-pink. This has a lovely texture and is well pigmented, although the shade of the color by nature is very close to my natural skin color and requires a bit more to show up well. 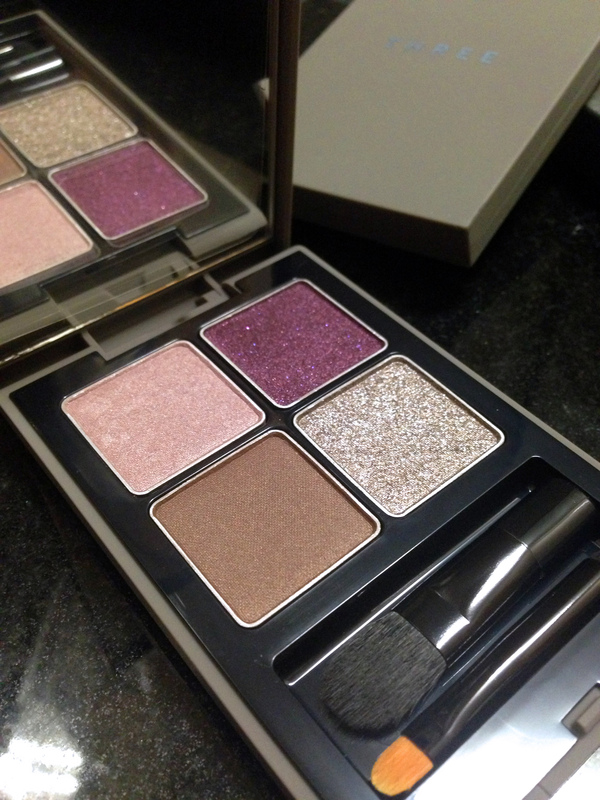 It has a warm tone, and is unlike the typical pastel pinks that plague so many Japanese brands. Medium-dark burgundy with pink and blue micro-glitters. This is the cream shade in this palette, and is very well pigmented. In comparison to #11 Sister Midnight’s cream shade, this felt more “solid” to the touch and does not kick up when dipped with a brush. Light brown with sparkles. This is the sheerest shade in the palette, but is much more pigmented by the corresponding shade on the #11 Sister Midnight palette. 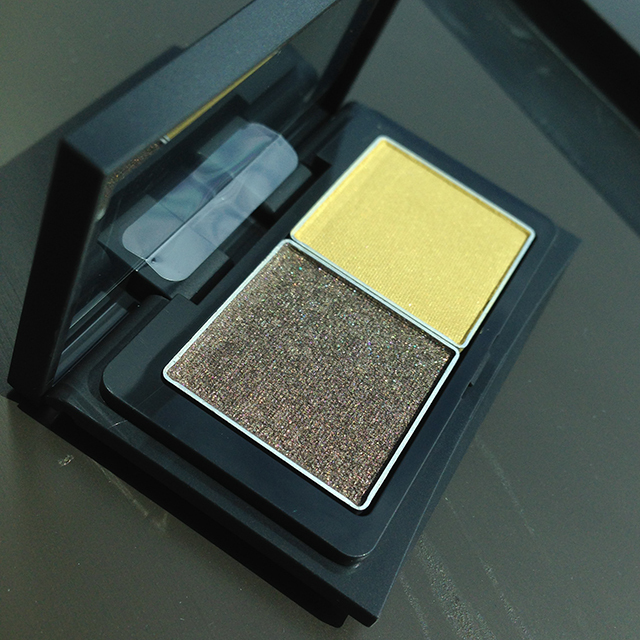 It gives a light wash of color and lends an elegant sparkle to the eye that is only paralleled by Tom Ford. Come to think of it, this shade reminds me of Tom Ford’s She Wolf (reviewed here). Medium chocolate brown with satin finish. When I first looked at the palette, I thought this was just another matte shade *yawn*. But when I swatched it, I felt like a wine connoisseur effusing about nose, bouquets and finishes. This is also the creamiest shade to touch in the pan. I played the shades in #9 Star Guitar the way Rie Omoto had rocked them on the campaign video. For your reference, here is an instructional schematic in pictorial form. First, I applied the medium burgundy cream shade all over the lid, focusing more on the outer V. Thereafter, layer on a wash of the medium chocolate brown, particularly on the inner half of the lid. 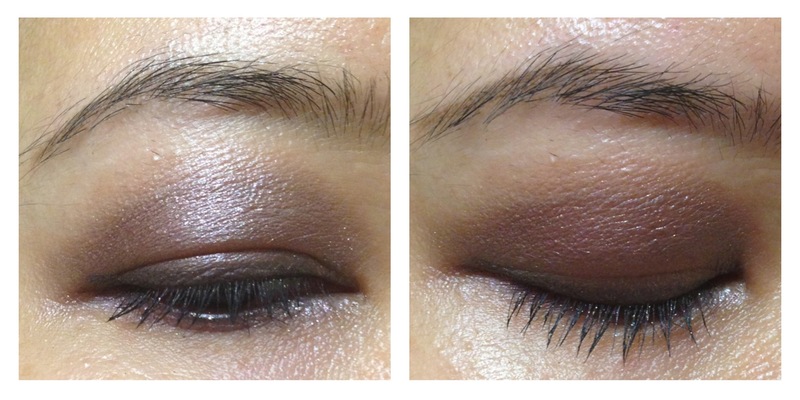 Highlight the inner eye corner with the sparkley light brown, followed by the crease with the light mauve-pink. Once again, when all 4 shades are blended together this way, the resultant EOTD strikes out boldly and quite differently than I could possibly imagine from examining the pan! I love the way the brown and burgundy mix together to create a complex score that changes under different lighting. I also tried wearing the palette a few different ways. Depending how you mix the shades, very different looks can be achieved. However, I again faced difficulty wearing the burgundy cream shade on its own along my lash line as it never quite settles down but creases and spreads out quite a bit. Regardless, I did not experience any fallout or fading from these shades throughout my long day. As you can see, I am starting to fall quite hard for THREE Cosmetics, and this #9 Star Guitar 4D Eye Palette did not disappoint. Have you had a chance to check out anything from THREE? Before Summer fades into Fall, I really need to show you a few more items that I’ve been meaning to discuss for a really long time! I picked up a couple of THREE Pressed Eye Color Palette Duos when I was in Bangkok, Thailand last year, and one of them is this very interesting bronze and lime palette named Love Evolution! I’ve recently been digging through my makeup stash, and trying to get some little loved items back into play. I’m not a big blush junkie, and unlike eye or lip color, I find that subtle nuances in blush shades seldom show up well. So in order for me to love a blush, my prerequisites are – smooth formula, easy to blend, interesting color. The THREE Color Veil for Cheeks are not easily accessible outside of Japan, and they have their share of raves out there on the Internet. I thought I’d offer up my own views just in case you are considering an online purchase, something to mull about.